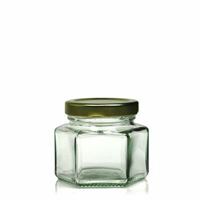 You will find hexagonal jars at most favorable prices. 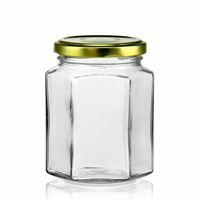 You can order from 1 jar. Hexagonbal jars are great for jams and storage. 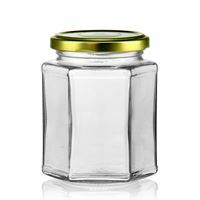 A variety of sizes of jars all include a metal twist-off lid.